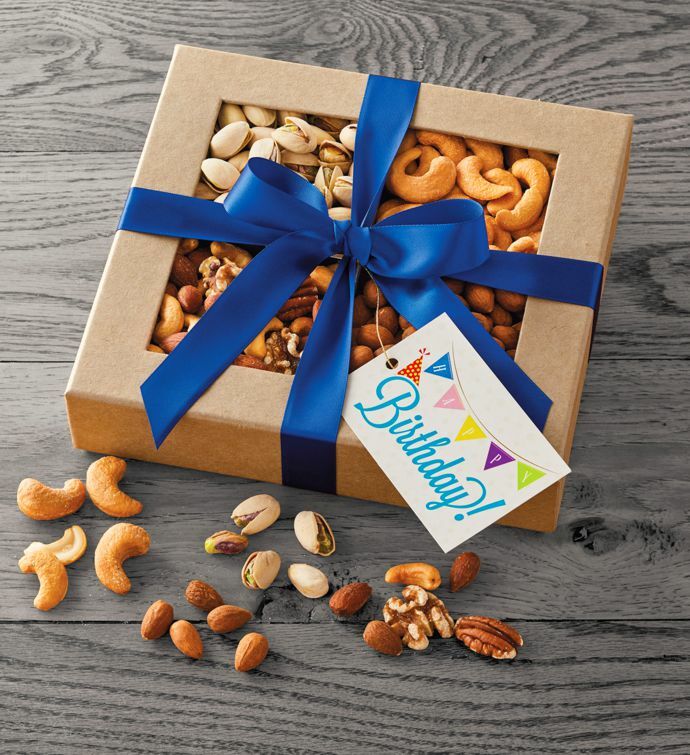 With a big, beautiful ribbon and a Happy Birthday sign, this impressive gift is a delight to behold. But it's even better to dig into. 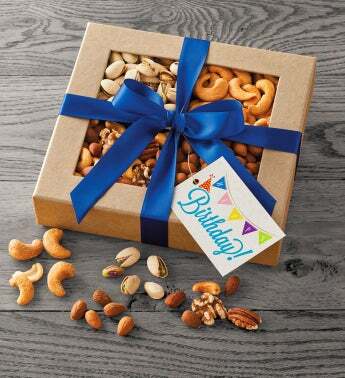 Nut-lovers will rave over the array of giant cashews, lightly roasted almonds, savory cashews and more. And a crunchy fresh snack to share and enjoy—well that's something we can all celebrate.